The NFL fines OBJ and Desean Jackson but NOT Zeke. So the NFL got some much-needed GOOD publicity a few weeks ago when they launched the by “My Cleats, My Cause” initiative, which allowed players to wear custom footwear during Week 13 of the NFL season. Any other time (aside from the typical October breast cancer awareness pink e’rywhere campaign), the league would slap a fine on offending players for daring to, you know, show any kind of individuality. Well, those awful players just don’t listen to the Ginger Hammer, do they? Look at the replies, though. 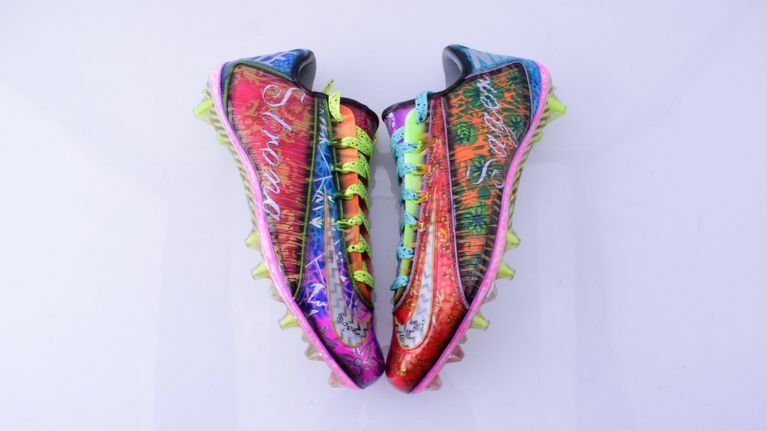 Giants superstar receiver Odell Beckham Jr. chimes in about his cleats, an actual tribute to Craig Sager, who passed away last week. It appears the plan was to wear them pre-game, which wouldn’t incur a fine, but it wasn’t the case. And here’s another look. Of course, the phrase “Sager Strong” also refers to the charity set up in Sager’s honor, so one can at least make the case that it’s a selfless act, and not self-promoting like Jackson. But what this underscores is the lack of any sense of creativity or compassion the league has for anything other than what they come up with. Yep. The NFL hates charity. I said it. I meant it. 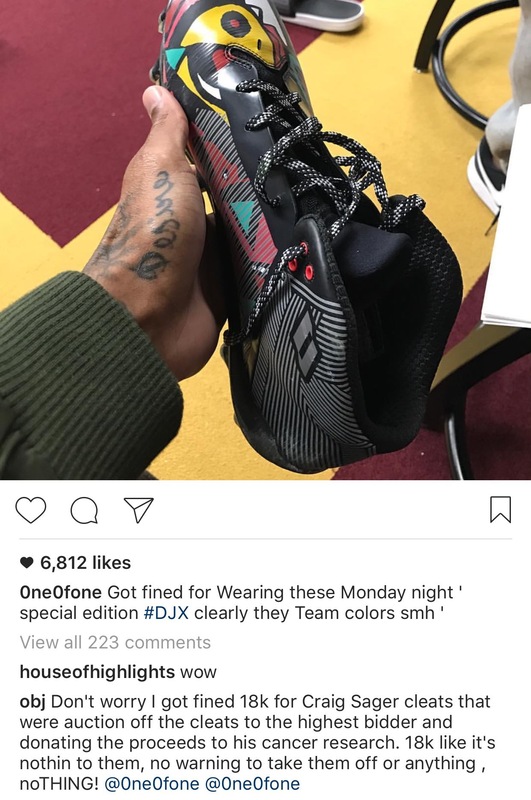 Tags: cleats desean jackson Jock Style NFL obj Odell Beckham Jr.